Are you teaching English as a Second Language? Whether you are in the United States or overseas, teaching English as a second language can be challenging for the teacher as well as the student. I remember when I was teaching Second Grade, I had several Spanish-speaking students. Some of these children only knew a few common English vocabulary words. There were lots of ESL/ESOL Strategies, as well as specific teaching materials and resources, that worked great in my classroom and helped my students succeed. You can start using these resources today by signing up for ACCESS, which gives you daily teaching materials for every day of the school year. If you are teaching English as a Second Language, there are many different types of teaching methods and ideas that you can incorporate into your daily routine. In fact, you may already be doing many of these things and just don’t realize it! You’re such an amazing teacher! 🙂 Be sure to also print out our ESOL Lesson Plan Template. Using drama, skits, plays, and reader’s theater with your students can help them feel comfortable in a group setting and help them to feel connected, especially if their part is short and can be easily memorized. This will build confidence and also help them to come out of their shell a little bit. Hands on activities using manipulatives, such as dice, blocks, stickers, coins, balls, chips, or anything else they can get their hands on will be perfect for them to visualize the concepts you are teaching and help them to recall that information later on. Wow! Kids love our Have Fun Teaching videos! Our videos work wonders with K-5 students. We have received so many wonderful emails and feedback from teachers who have raved about our educational videos, especially when using them with their ESOL students. And guess what! All of our videos are included with an Access subscription! If you want to teach a concept, while keeping it clean and easy to understand, consider using Graphic Organizers. These are great for organizing ideas into bubbles or charts. There are so many different kids of Graphic Organizers that you could use, including Venn Diagram, KWL/KWHL, Sequence of Events, Spider Map, Network Tree, and many more! You probably already are doing this, but this one is crucial! Reading aloud with your students is one thing, but telling stories is another. Maybe during your next morning meeting or circle time you can tell them about your trip to the grocery store, or maybe something you remember doing when you were a kid. This way, your english language learners will start to hear common English language, slang, and hopefully even some “proper English” as well in your communication and storytelling. Plus, who doesn’t love a good story, right? Small group learning centers are….wait for it….A-MAZING!!! This is one thing that I would make sure to incorporate in your classroom every single day! Independent learning and self-direction. More one-on-one time with your kiddos. And yes…FUN! Kids love centers and so do teachers. Usually 3-4 students in a group makes for an ideal situation, giving them about 20-30 minutes to complete the center and then rotate. Time and size of the group really depends on grade level and depth of each activity. Also, be sure to have something for students to complete and hand in for proof that they “did” the activity. Oh yeah, you will also get hundreds of these small group learning centers with your Access membership! It’s time to get down, get up, and get moving! Teachers and kids absolutely love our Have Fun Teaching Songs. They are perfect for teaching specific skills, having a nice brain break, creating smooth and fun transitions, and just having a fun time teaching and learning! All of our HFT Songs, including our Alphabet Songs, Character Songs, Counting Songs, Fitness Songs, Science Songs, Shape Songs, and Songs for Kids are also included with your ACCESS subscription. Can I get a Woop Woop??? Your ESOL students have lots of background knowledge, it’s your job to take that knowledge and help them translate it to English. This is not a difficult task, you can do it! Lots of teachers use Flash Cards and Books to help build on background knowledge and move them into more higher level thinking. Videos are also great for this! Computer time is great for teaching English as a second language. 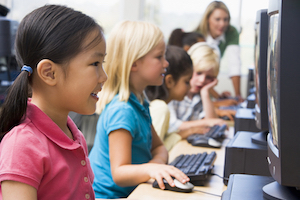 There are many computer activities that your students can do that will help them achieve success this year. 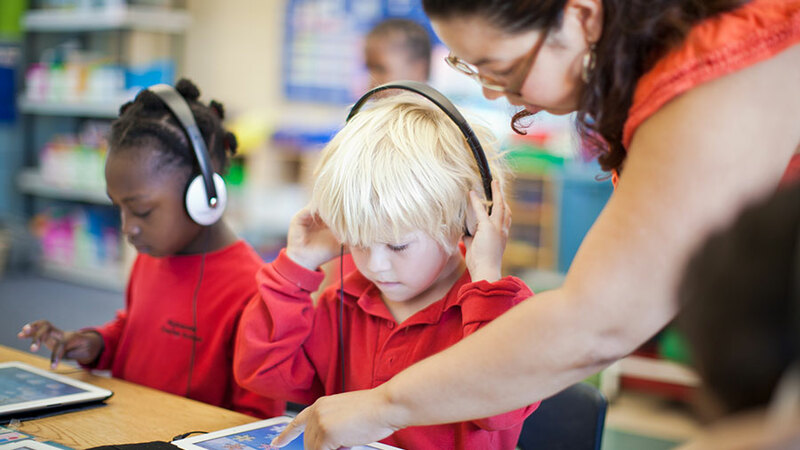 Computers and other math and music activities are great for ESOL students because it brings them into a even playground of communication where students can relate to each without really knowing each other’s language. I remember when I went on a mission’s trip to the Dominican Republic and had such amazing “conversations” with kids without really even communicating at all. Here at Have Fun Teaching, we make teaching and learning so much fun! Most of our educational songs and videos encourage students to perform actions, motions, movements, and include lots of repetition…perfect for teaching English as a second language. Our Fitness Videos, featuring our cute and adorable Funzy character named Abby, are amazing and so much fun! With your Access Subscription, you will have access to all of these TPR songs and videos. Journaling is a great way to see where your ESOL students are with their language and writing, and also provide a great way to look back and see how much they have improved over time. They will be amazed after a few months when they see how much they have progressed. In the beginning encourage them to draw pictures, then start adding vocabulary words, and then short sentences, etc. Let them know that their journal is the perfect place to make mistakes, try new things, and dream big! You can even use Journal Prompts. Yes, we all know them by “Field Trips”…but come on, we are more civilized than that! A Field Experience is a fun way to get out and learn new things. Whether it is taking your class to the corner of your classroom to inspect a dead bug, taking them outside under a tree to uncover the mystery of falling leaves, or visiting a local business or museum to explore new adventures, your Field Experiences will make memorable moments for everyone involved. Having your students reading silently is a great time for them to read at their own pace, without feeling the pressure and anxiety of performing in front of others. Your ESL students will find this time to be relaxing and you can encourage them to look at the pictures to find context clues for key vocabulary words. Many ESL students go through a silent period, and this is totally normal. It’s important not to push them too hard in a public setting. 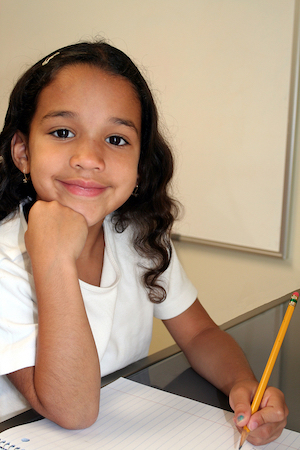 Sometimes, your ESOL students will need a little extra one-on-one time with you or a tutor/ESOL specialist. Just 5 minutes spent one-on-one with them will make a world of a difference. Try to learn 1 or 2 sentences in their native language, such as a compliment or a question to help them feel comfortable. They will look at you like you have spaghetti hanging out of your nose! They will love it! I hope these strategies for teaching English as a second language have given you some new ideas and a fresh insight on how to teach your amazing little ones. If you need resources to help you teach, be sure to sign up for Have Fun Teaching Access today. We have Kindergarten Access, First Grade Access, Second Grade Access, Third Grade Access, Fourth Grade Access, and Fifth Grade Access. Sign Up Now to get ACCESS Today!